This month, we hit the magic number of 1000 B2B customers at Woodpecker.co. We decided to celebrate in a very special way. This time, instead of preparing a rough-numbers report, we decided to surprise you with a natural science article about great spotted woodpecker’s vs. Woodpecker.co’s life cycle. Check in what ways Woodpecker resembles its natural counterpart and learn more about Woodpecker’s symbionts (a.k.a. customers). The great spotted woodpecker (Dendrocopos major) is a part of pied woodpecker’s tribe, which is the largest of the six tribes in an ancient bird family of woodpeckers 1. 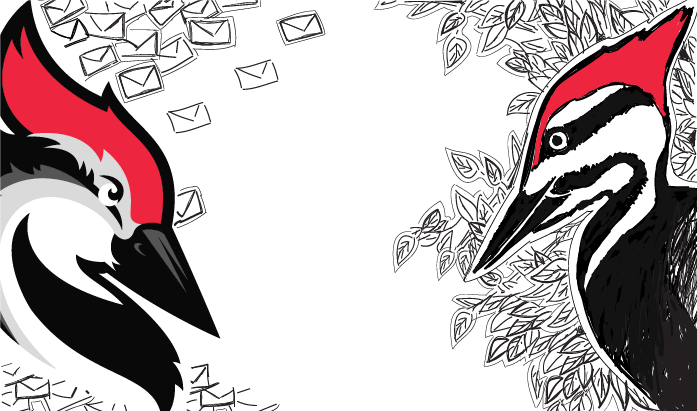 Woodpecker.co is classified as a representative of cold email automation family that belongs to the SaaS class. It originated from Wrocław (Poland) in 2015. The great spotted woodpecker lives in Eurasia and some parts of North Africa. It chooses to live in woodlands and, in most cases, it’s resident all year round. Juvenile woodpeckers tend to wander even up to 3,000 km from where they were hatched1. Woodpecker.co lives very close to its symbionts in diverse habitats. It usually opts for the temperate climate zone. Nevertheless, it can be spotted in the subtropical and tropical zones, too. It has to fly a great distance to reach its symbionts supported by fiber optic cables. 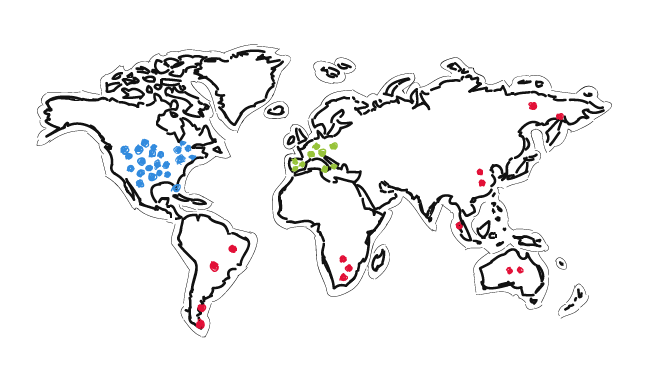 45% of the ever-growing symbionts’ population resides in Europe, and over 43% in the North America. The growth of the population has been exponential: it encompassed 100 specimen in June 2016, 500 in February 2017, and over 1000 in August 2017. The great spotted woodpecker builds its nest in 2-3 weeks, while the email configuration in Woodpecker.co takes only a few minutes. The great spotted woodpecker lays usually 5-7 eggs in the first weeks of May, whereas Woodpecker.co sends campaigns all year round, approximately 45K cold email campaigns a year. The great spotted woodpecker incubates the eggs for about 12-13 days. For Woodpecker.co an average campaign lasts usually 8-10 days. And last but not least, the great spotted woodpecker pecks the trees about 12 thousand times a day, whereas Woodpecker.co “pecks” (sends) 66 thousand emails a day for all its symbionts (users). Many thanks to all of them for great ideas and all the hard work that allowed the ideas to be brought to live. And very special thanks go to all our customers. Thank you for being with us – we are more than happy to see Woodpecker grow this way in symbiosis with all of you. We hope you’ll get at least as much fun from reading the post and infographic as we got from making it. Let us know! Previous postWhat Mail Merge Custom Fields Can I Use for Clever Outreach? Thank you so much for the comment. Writing the comparison was such fun. And we’ve learned a lot about woodpeckers in the process.